Tuesday July 31, 2018 - President Uhuru Kenyatta and Mombasa Governor, Ali Hassan Joho, have closed ranks and shook hands in yet another sign of changing political realignments. This comes following the March 9th handshake between President Kenyatta and Opposition leader, Raila Odinga, which has changed the political complexion in the country. 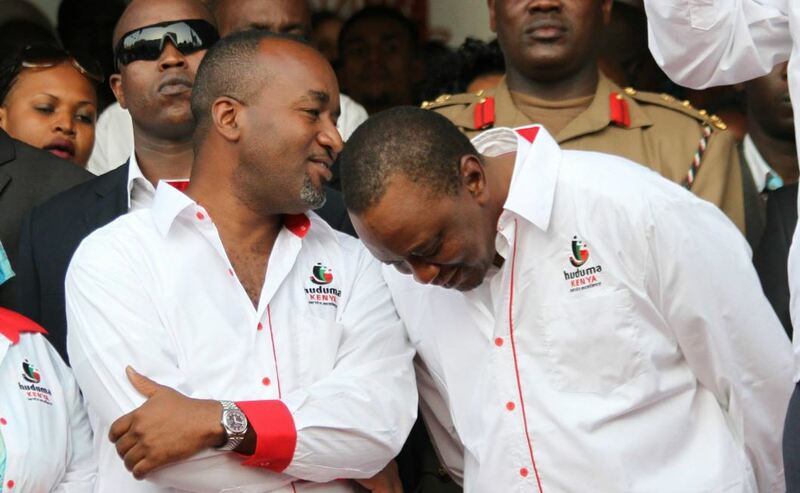 Uhuru and Joho, who were at one time bitter political rivals, buried the hatchet after a closed door meeting in Mombasa. The meeting also follows another one in June in which the two shook hands again, vowing to put aside their political differences and work together for the good of the country. “Today I thought GSU officers would be blocking me, instead, they were facilitating my being here,” Joho joked as he welcomed President Kenyatta during the official opening of the Miritini-Mwache-Kipevu Road. The secret meeting between Uhuru and Joho has left Deputy President William Ruto and his allies at the Coast a worried lot, considering that it came barely a week after Uhuru met ODM leader, Raila Odinga, in Kilifi.